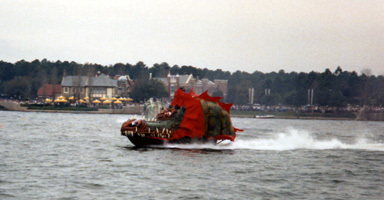 Photo Memories #2: More From Animal Kingdom's 10th Anniversary, Collectors Edition DVDs, Upcoming Release Information. 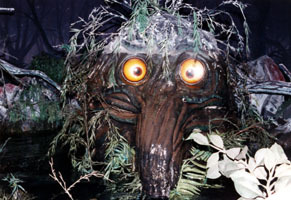 Welcome back for more photos from Animal Kingdom’s 10th Anniversary ! 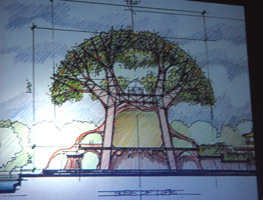 Featured here is some great concept art from Joe Rohde’s presentation detailing the changes that were made in the original Animal Kingdom entrance plaza. 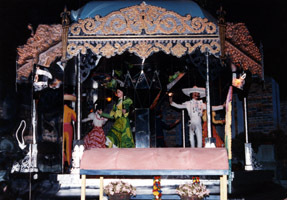 Note the procession of animals in the left photo below. 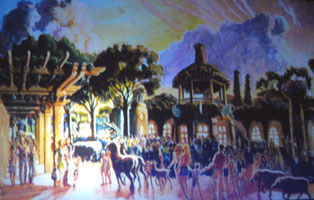 That concept was deemed unworthy due to the realization that animal backsides would often be included in guest photos. 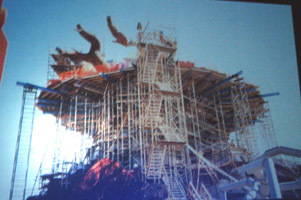 Finally the shots below show early concepts for the Tree of Life and the huge amount of scaffolding used during construction. This was a highly interesting presentation and I personally learned a great deal about the history, design and attention to detail of this great park! 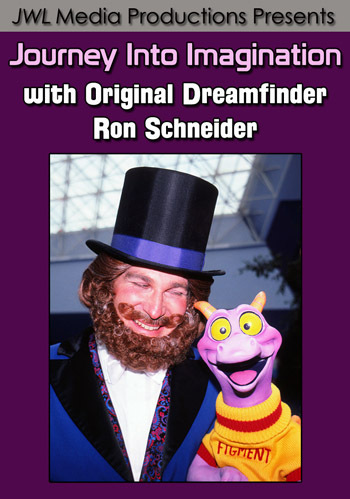 Available now from the JeffLangeDVD Store in a very limited supply: Collectors Edition DVDs featuring Fantasyland Classics. 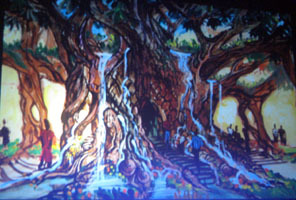 These DVDs Include an Actual Ride Piece and a 4×6 Color Photo suitable for framing. 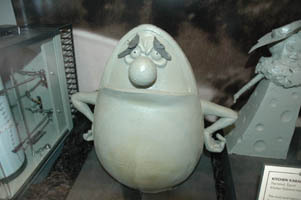 The Mr. Toad Edition includes a Bumper piece from actual “Mr. 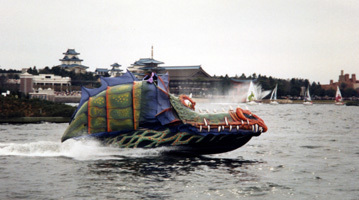 Toad’s Wild Ride“ vehicles – The 20,000 Leagues Edition includes Seaweed from the “ 20,000 Leagues Under the Sea” lagoon. 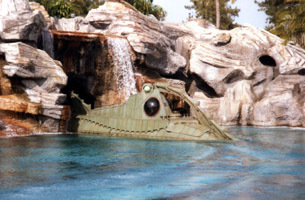 A photo tour of “Fantasyland“, “20,000 Leagues Under the Sea” (including full coverage of the exteriors and queue plus a complete ride thru), the original “Snow White’s Scary Adventure” , “Peter Pan’s Flight ” and the ” Happiest Cruise That Ever Sailed”…”It’s a Small World “. 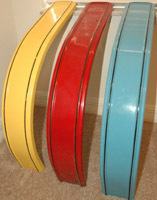 Please click HERE for more information on these items. 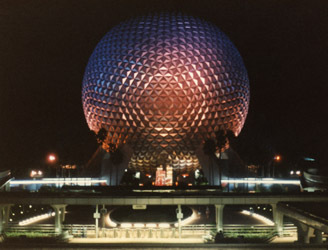 Please check back soon for more information on my upcoming releases including my all new Photo CD Collection as well as DVD’s on the following topics: Animal Kingdom’s 10th Anniversary, Epcot’s Flower & Garden Festival, Walt Disney World Railroads, Tomorrowland Classics and more! 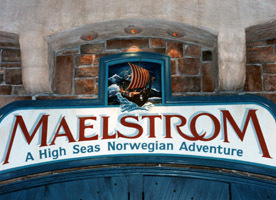 Photo Memories Featuring Epcot's World Showcase: Maelstrom and Skylaidescope plus a New Release Update. 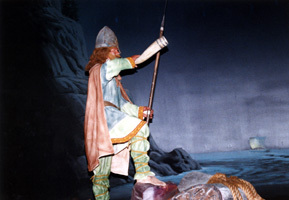 trip back to a mythological version of Norway’s Viking days. always enjoyed it although it is often overlooked today. type of show back anytime soon… but you never know. somewhere. 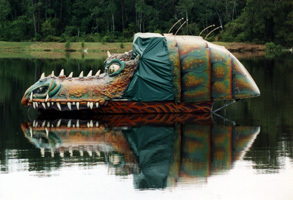 If anyone knows the fate of this boat please let me know. 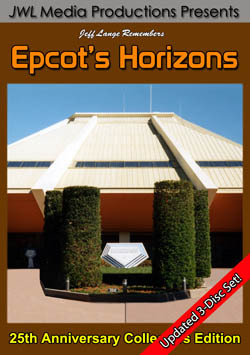 to browse all Epcot Center titles. 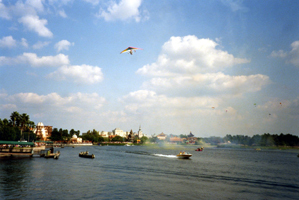 Jeff Lange Remembers Epcot’s World Showcase 25th Anniversary 2-DVD Set. the Skies and much more. 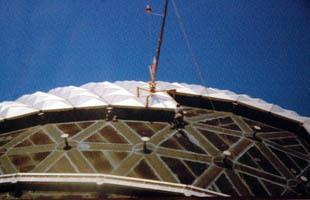 1991 and 1993 plus full coverage of the exterior, que and exit areas. release by the end of next week. 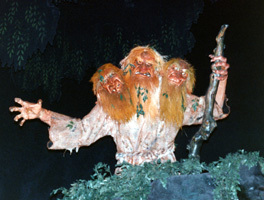 Bruce Gordon (1951-2007), Epcot's 25th Anniversary Gallery Photo Memories Pt 2, Holidays at Walt Disney World Preview, Production & Travel Update. Hello everyone and welcome back for a big update this week. 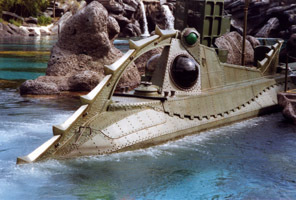 Unfortunately we begin on a very sad note with the passing of much beloved author & Imagineer Bruce Gordon. 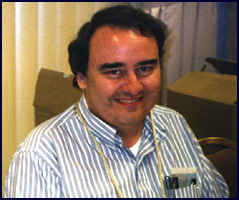 I really enjoyed Bruce’s presentations at the NFFC Disneyana conventions and remember the huge smile he always had when he and fellow author/Imagineer David Mumford would throw Disney surprises to the audience. You could just tell how passionate he was about Disney and his work. My friend Jim Hill wrote a very nice tribute that I recommend everyone read HERE. Flo and I offer our heartfelt condolences to the friends & family of Bruce Gordon. 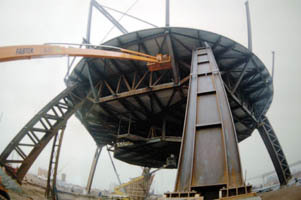 model and move to a great photo showing the construction of the massive supports. 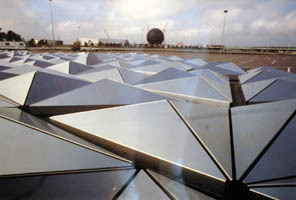 Below left is one of my favorite shots showing some of the 954 triangular shaped silver panels sitting in the Epcot parking lot. I also love the image on the right with the construction workers looking like window washers. 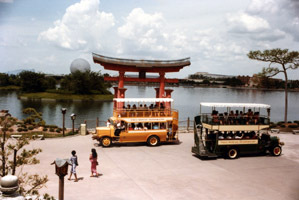 There are hundreds more great images like these on display in the gallery and I encourage everyone to spend some time there on your next visit to Epcot. 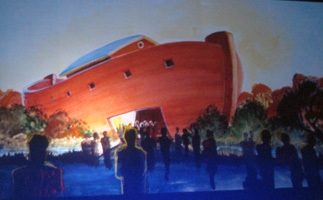 I have not heard anything official but it seems like the gallery will be open through 2008. 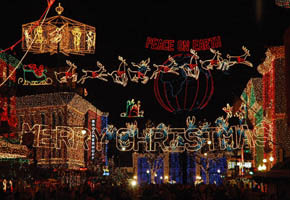 Believe it or not it’s that time again as the Holidays come to Walt Disney World. This year there are some new offerings and changes. Kingdom that has added an extra night this season — meaning there will be 19 evenings of holiday fun: Nov. 12, 15, 16, 25, 27, 29, 30 and Dec. 2, 4, 6, 7, 9, 11, 13, 14, 16, 18, 20, 21. 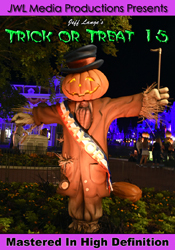 The fun begins at 7 p.m., after regular park hours. 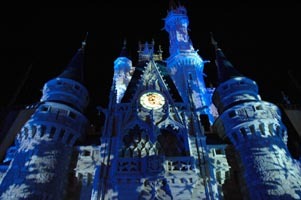 Guests can enjoy festive surprises including an all-new Castle Light Show. Cinderella Castle is adorned with thousands of shimmering white lights, covering the turrets and towers like a glistening blanket of ice. The twinkling lights create an elegant wintry effect perfect for the seasonal celebration. “Mickey’s Once Upon a Christmastime Parade” celebrates the many festive moods of the holiday season, showcasing a series of holiday themes including a Friends and Family Christmastime Party, a sleigh ride through a Winter Wonderland, a romantic Fairy Tale Christmastime, a scrumptious display of Christmastime sweets, and of course Santa and Mrs. Claus in a grand finale. 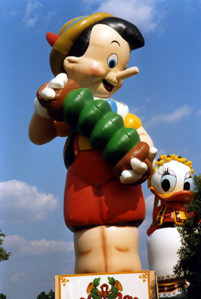 And for longtime Disney Christmas parade fans: soldiers, snowflakes and dancing deer are all still in the parade. 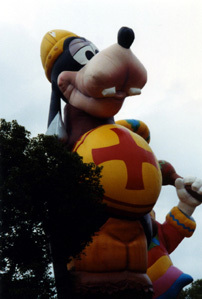 The parade features original music as well as both classic and current holiday tunes. Admission to Mickey’s Very Merry Christmas Party requires a separate ticket. Tickets are $47.95 plus tax for ages 10/up and $40.95 plus tax for ages 3-9 (but with advance purchase, guests can save $7 per ticket for select dates). Note: Many party nights are sold out in advance. 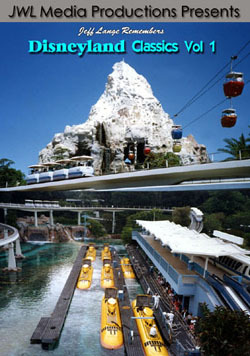 To purchase tickets, guests can call 407/W-DISNEY or visit disneyworld.com/holidays. decked out for the Holidays featuring ‘Mickey’s Jingle Jungle Parade‘ and Holidays Around the World at Epcot! 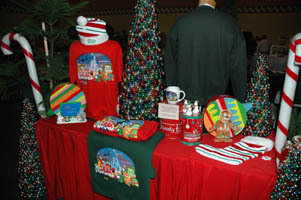 Below is a preview of some of the merchandise that will be available only at ‘Mickey’s Very Merry Christmas Party‘ nights. I am in the process of working on some great Holiday titles. 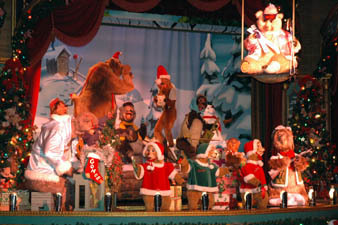 The first release will be ‘Walt Disney World Holiday Classics‘ featuring the ‘Country Bears Christmas Show‘ (below) shot from multiple angles, ‘Mickey’s Very Merry Christmas Parade‘ from 2003, ‘Holiday Wishes‘ fireworks and ‘The Osbourne Lights‘ from 1996 when it was still presented on Residential Street at Disney-MGM Studios. Remember… Dreams Come True holiday fireworks including the ‘White Christmas‘ finale complete with a magical snowfall and more. 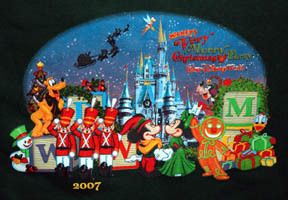 I will be traveling to Florida next week to attend Mickey’s Very Merry Christmas Party and record all the new Holiday changes. 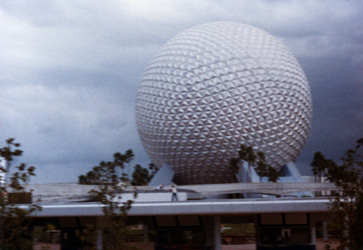 I will also be covering Super Soap Weekend and recording footage all around Walt Disney World for future releases. While I am traveling you will still receive the same level of quality service and guaranteed 24 hr shipping you have come to expect from JeffLangeDVD. 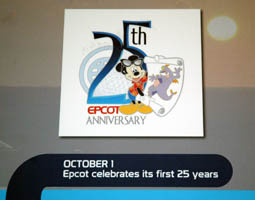 Epcot’s 25th Anniversary October 1st, 2007 is available now featuring the Entrance and Rope Drop, Silver Anniversary Celebration, Full coverage of the 25th Anniversary Gallery, Illuminations: Reflections of Earth 10-01-07, Epcot’s 25th Anniversary Fireworks Finale plus bonus footage of the Fire Barge Burn Off and much more! For more information please click HERE. 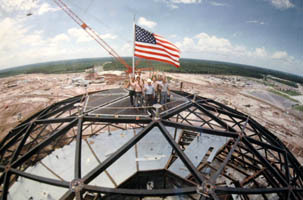 All New Epcot's 25th Anniversary DVD Production Update & Preview Plus Epcot's 25th Anniversary Gallery Photo Memories Feature. weeks ago. 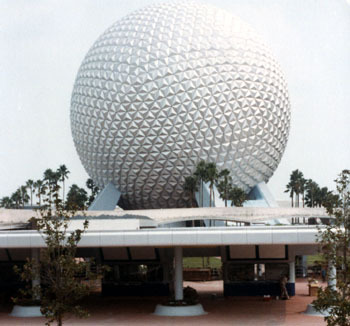 This edition features part one of a series on Epcot’s 25th Anniversary Gallery. 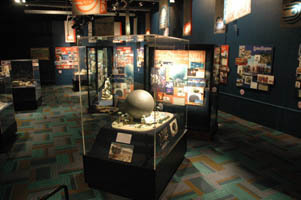 This is a temporary display showcasing concept art, models and historical memorabilia. Please note that these are only highlights as I ended up photographing all 720 plus images in the gallery over many hours. 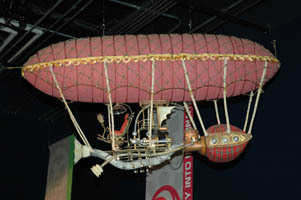 One of the slightly hidden gems of the exhibit is the ‘Dream Catching Machine‘ from the classic version of ‘Journey Into Imagination‘ hanging overhead. 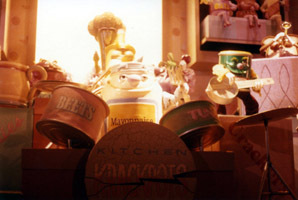 It is very detailed and reminds me of a similar model that was displayed for years in Disneyland’s pet care center. If anyone knows the story behind these models please email me. 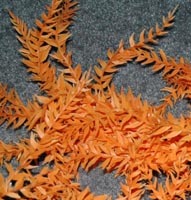 I am very curious as to the history and origin of these great miniature props. 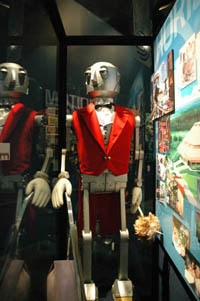 The next display features vintage cast member costumes. 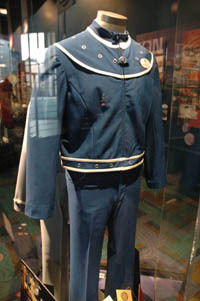 The plaque reads: “The costumes the Epcot cast members wear help them establish the character of the role they are playing in the show and help guests to understand a part of the story being told. 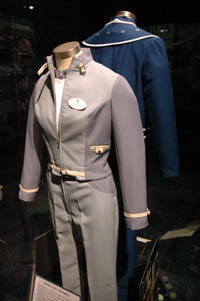 This can be a polyester jumpsuit for a guide on a flight into the future or a recreation of a traditional outfit worn for centuries in a far off land”. 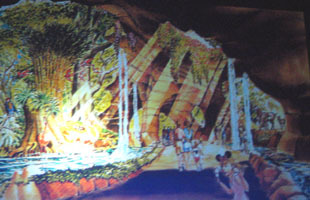 Horizons‘ vintage Epcot Center attraction. The next two shots are from the exhibit. It is great to see him again and in such excellent condition. I can only hope his friends share his good fortune. I will be featuring much more from this great exhibit in upcoming Photo Memory editions. Please check back again soon! 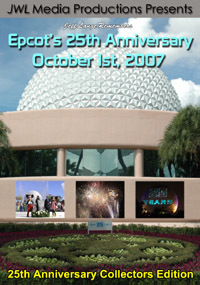 Production Update: I am deep in production on my next release Epcot’s 25th Anniversary October 1st, 2007 featuring the Entrance and Rope Drop, Silver Anniversary Celebration, Full coverage of the 25th Anniversary Gallery, Illuminations: Reflections of Earth 10-01-07, Epcot’s 25th Anniversary Fireworks Finale plus bonus footage of the Fire Barge Burn Off and much more! The tentative release date is November 1st. Below is a sneak preview of this all new DVD cover. 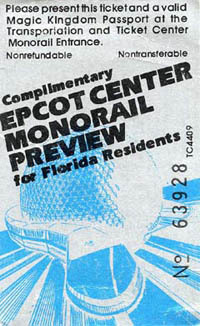 Photo Memories: Epcot Center Pre-Opening Monorail Preview, JeffLangeDVD Travel and Production Updates. 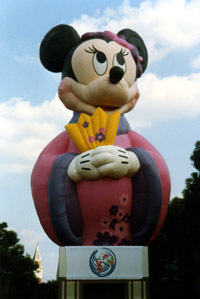 Walt Disney World resort guests. 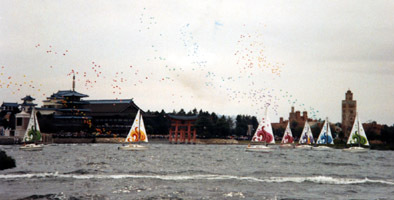 World Showcase for the first time. I was amazed by what I saw next! "To all who come to this place of joy, hope and friendship, welcome." come to expect from JeffLangeDVD. 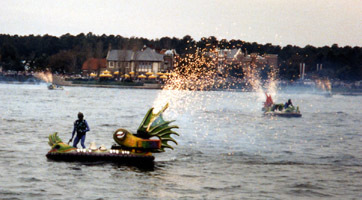 check JeffLangeDVD.com. I have included a subtle hint below. 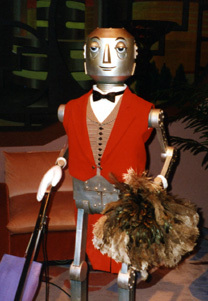 Photo Memories: Epcot Center's The Land Pavilion Featuring Kitchen Kabaret Plus Epcot's 25th Anniversary Display At The Walt Disney Archives. Hello everyone. 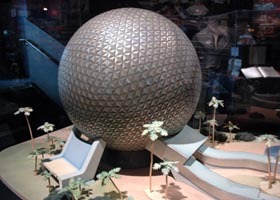 Welcome back for more photo memories featuring Epcot’s The Land Pavilion and the great new Epcot 25th Anniversary display at the Walt Disney Archives. 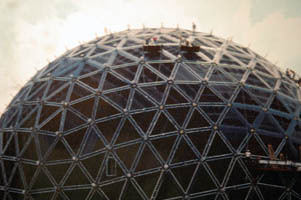 The above shot is a vintage photo from the late 1980’s before the landscape had fully grown in. 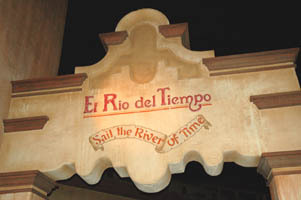 Note the name of the revolving resturant in the above image. 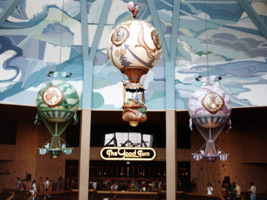 It was originally known as ‘The Good Turn Restaurant‘ (October 1, 1982 – May 1, 1986) before the name was changed to ‘The Land Grille Room‘ (May 2, 1986 – November 15, 1993). 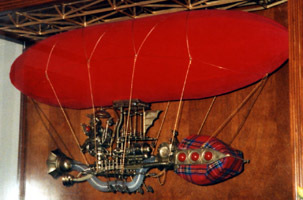 In late 1993 it finally changed to the current name ‘The Garden Grill‘. Time) Blues Away‘ by Bonnie Appetite and the Kitchen Krackpots and ‘The Stars of the Milky Way‘ by Dairy Goods and his Stars of the Milky Way. 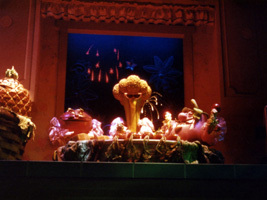 Probably the most memorable segment from the show was ‘Veggie Veggie Fruit Fruit‘ (above) performed by Colander Combo and the Fiesta Fruit. 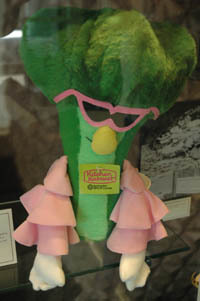 I remember I always got a laugh out of the way the broccoli singer would raise his glasses to emphasise the cha cha cha at the end of the chorus! 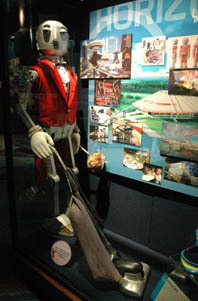 Here he is (above right) on display at the Walt Disney Archives in Burbank California. 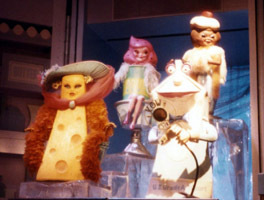 The Kitchen Kabaret closed January 3, 1994. 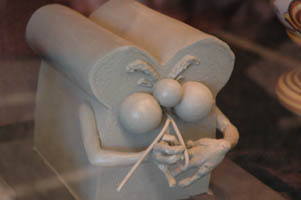 The archives have added a fantastic new display to the entrance lobby commemorating Epcot’s 25th anniversary including these great early concept sculptures of Hamm (from Hamm & Eggz) and the Boogie Woogie Bakery Boy also from the Kitchen Kaberet show. 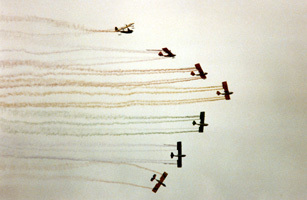 Please keep checking back for more photos from this great display. 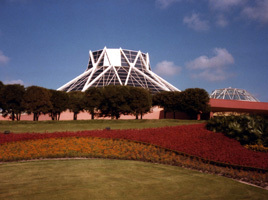 Jeff Lange Remembers Epcot’s The Land Pavilion 25th Anniversary Collectors Edition is available now featuring the original ‘Listen to the Land‘, ‘Kitchen Kabaret Revue‘, Farmer’s Market scenes, ‘Food Rocks‘, ‘Living with the Land‘ and more. For more information or to order the DVD please click HERE.